We had an opportunity to visit with Willie before the concert began and we are happy to report his ankle is doing fine and he looked great. In keeping with the winter weather, Willie had exchanged his T-shirt for a plaid flannel shirt and his tennis shoes for lace-up hiking boots. Willie showed us a turquoise watch band he had, quote “Took right off ole’ Johnny Rodriguez’s wrist”, and it’s a beauty. Willie said he had a good feeling about this tour and I think he is right, for the night before, at the Tarrant County Convention Center, Ft. Worth, TX, 10,000 fans gathered to hear Willie and Family and this night in spite of heavy ground fog and a weather forecast calling for sleet, the Convention Center at Pine Bluff was filled to capacity. 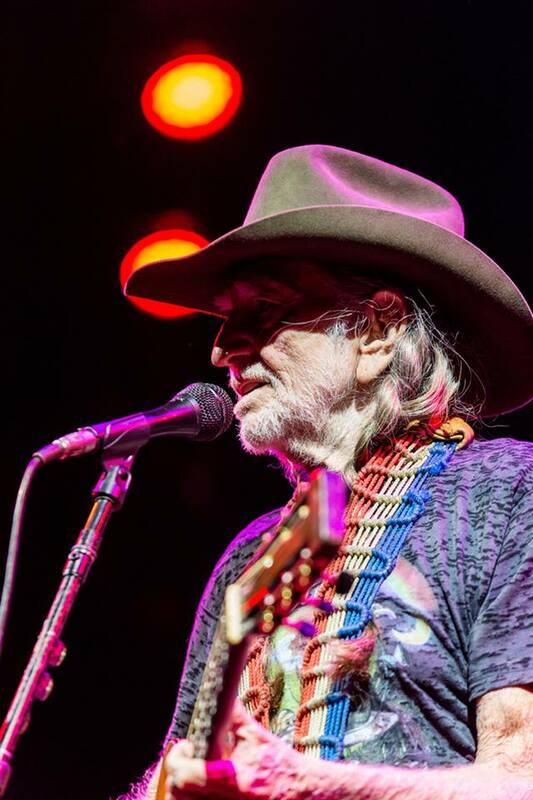 Willie, in his usual great form, and the fans on their feet from the very beginning with “Whiskey River”, “Hello Walls”, “Funny How Time Slips Away”, the “Redheaded Stranger” album, “Me and Paul”, “If You’ve Got the Money”, “Good Hearted Woman”, “Until I Gain Control Again”, Leon Russell’s “My Song” and many, many more ending with the great gospel songs, “Uncloudy Day” and “Will the Circle Be Unbroken.” Willie didn’t get a chance to leave the stage. These fans were not ready for that and they let him know it with shouts of, “More Willie”, “We love you”, “Willie”, bringing him back for an encore of “Whiskey RIver” once more “Milk Cow Blues” and “Goodnight Irene.” The Hat swapping had been as brisk as the pace set by Willie and Family’s music and fans were all around the stage by the end of the concert. Although Willie’s bus was only a few feet from the stage steps, it took him some time to get back to it as he stopped to sign autographs and talk with the fans. A great evening, thanks to Willie and Family. 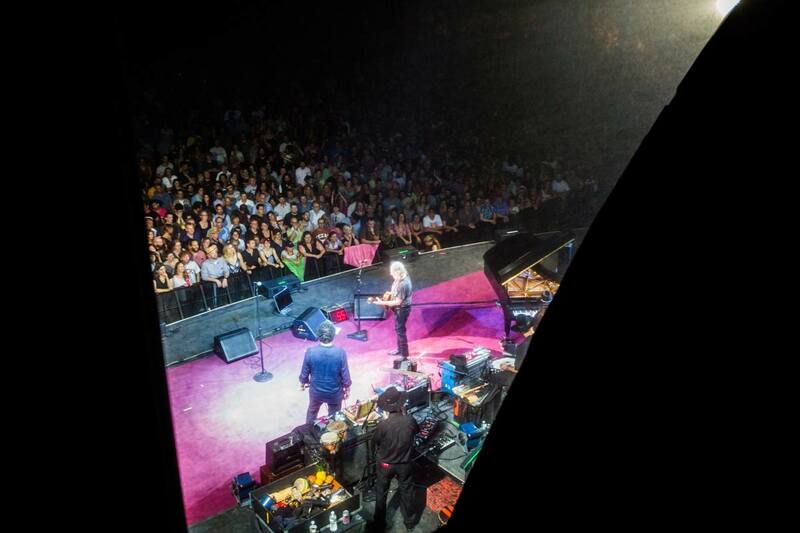 Anticipation spills over with the first few notes from Mickey’s harmonica. 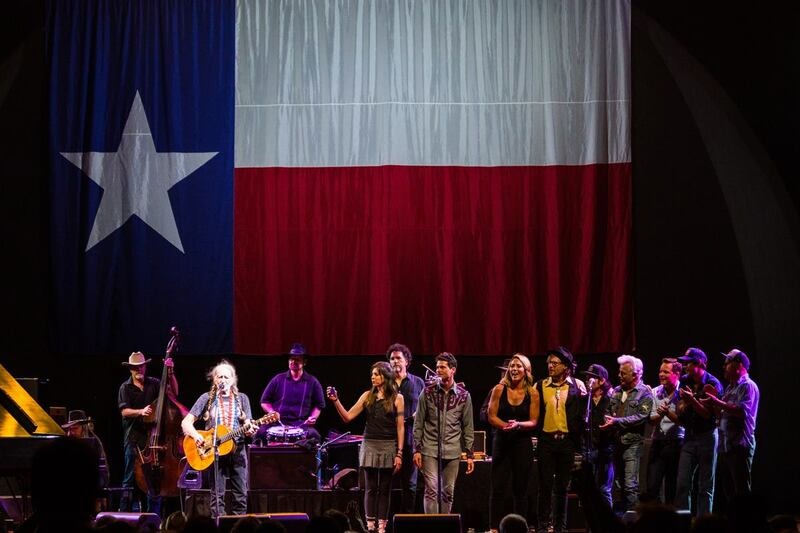 Then, as Willie takes the stage and sings “Whiskey River Take My Mind,” the audience responds as if each person there had just won the New York State Lottery. 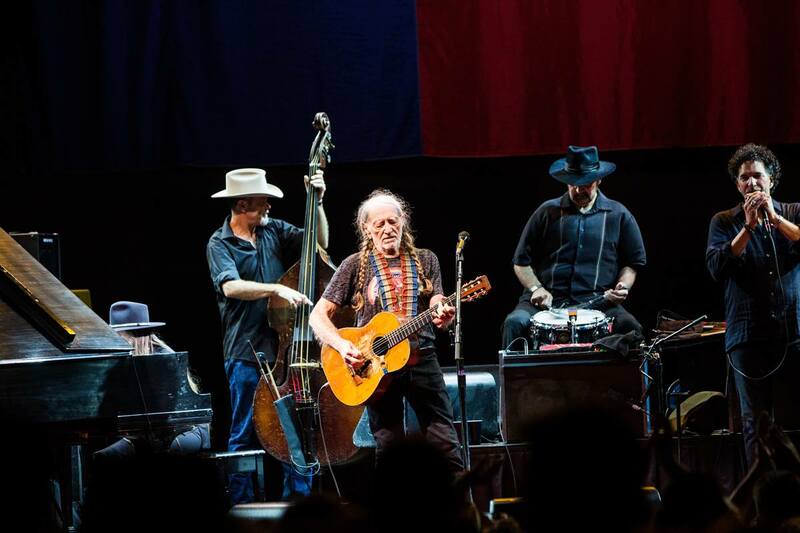 This rapport increases throughout the show as Willie glides from Kris Kristofferson gems to gospel, cowboy songs to blues, self-penned classics to ballads. Whatever Willie sings, the people. Funny how two hours slip away. 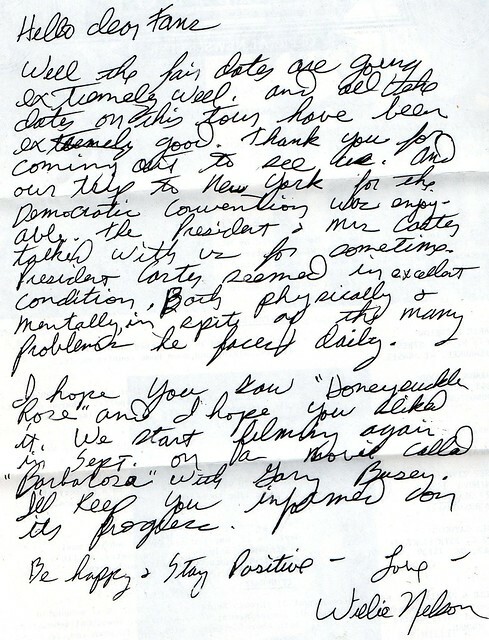 Willie and Family Show is felt, not just seen and heard. It’s a natural high for those lucky enough to be there. Ad those people will be back for another show. 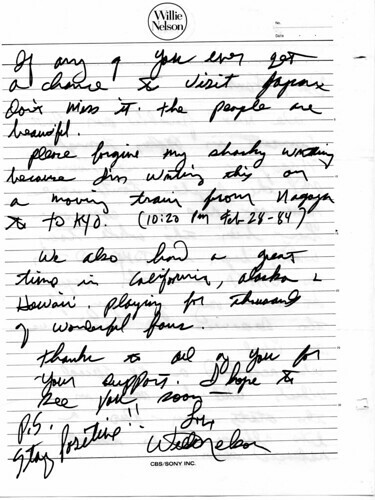 It’s easy to appreciate the efforts of Willie and the band members on stage. They have given us top quality entertainment. Not so visible, i.e. well-known, are the people involved backstage working before and after each show. Willie and Family roll coast-to-coast on tires. Five chocolate/tan customized Silver Eagle buses, painted in various Indian and western themes, drive into the shows parking area. these carry the 27 or so experts, including band members, that work with Willie to keep the show running smoothly. And smoothly it does. Also on tour is a motor home with the concessions people, a rental truck, and a semi for equipment. 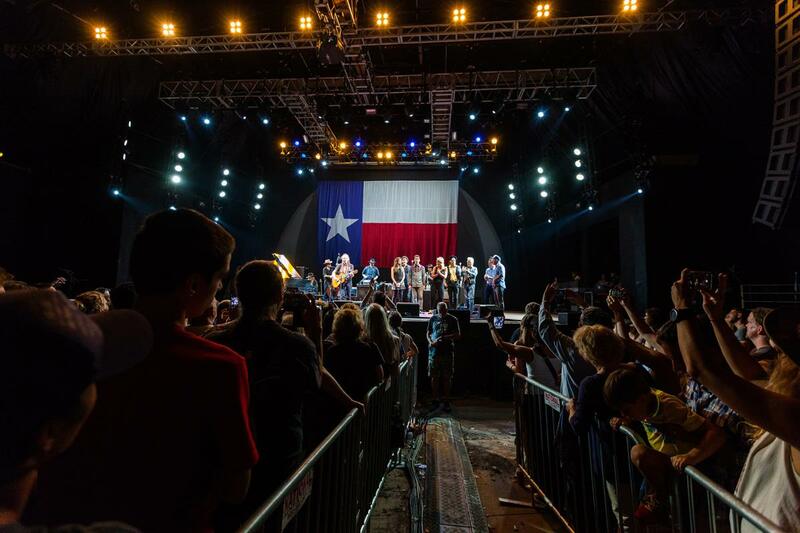 On tour with Willie can be 200 shows a year, covering up to 100,000 miles. The buses soak up to 200 gallons at truck stops and that translates to about 6 or 7 miles per gallon. Your ticket might give the show’s starting time as 8 p.m., but the first of Willie’s crew starts long before that. The sound and lights technicians are setting up by 11 in the morning for an 8 p.m. show. By 3 p.m. the security staff and stage manager are at work. Look for the Wrangler bus around the same time. 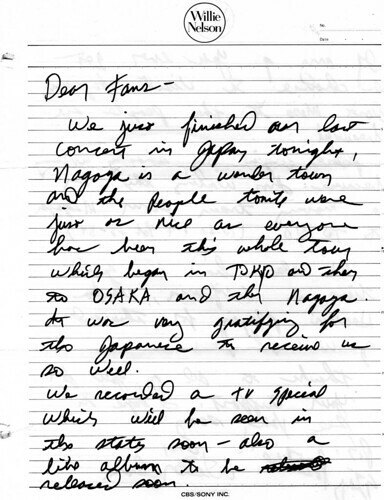 the fourth bus, with the band members, comes over about 1 hour to 1 1/2 hour before the show starts. The big question is, of course, When Does Willie Get Here? It varies. It’s not unusual for Willie to arrive 30 minutes to an hour before show time. Or, it just might be any time from 11 a.m. to 7:45; each show has it’s own circumstances. 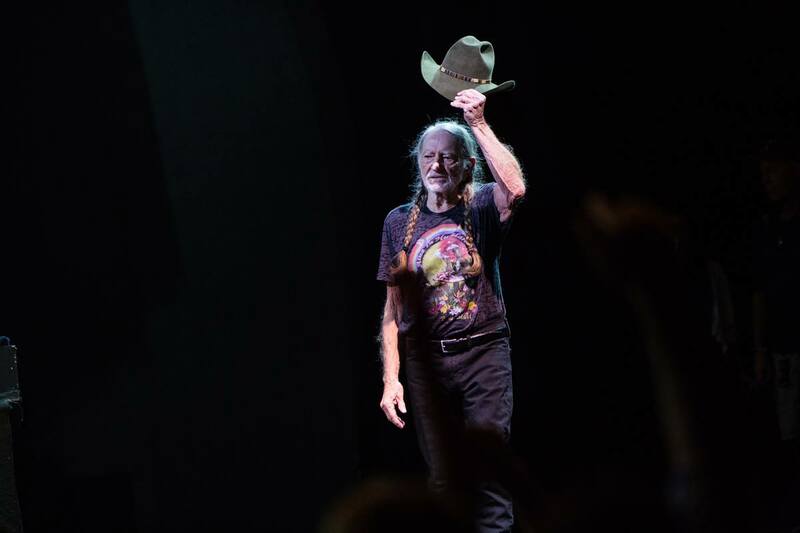 Eventually the evening ends, Willie waves goodbye and exits the stage. the audience also heads for home. Willie’s crew, the same people that set up that morning, have another 2 to 2 1/2 hours of work to tear it all down. When you have the best sound and light equipment available, it takes that long before everything is loaded and ready to roll. One by one the Silver Eagles and trucks hustle down the highway to the next show and another city. Many thanks to Wrangler’s Mell Parkhurst who took time at the Salem, Ohio show to answer all our questions. 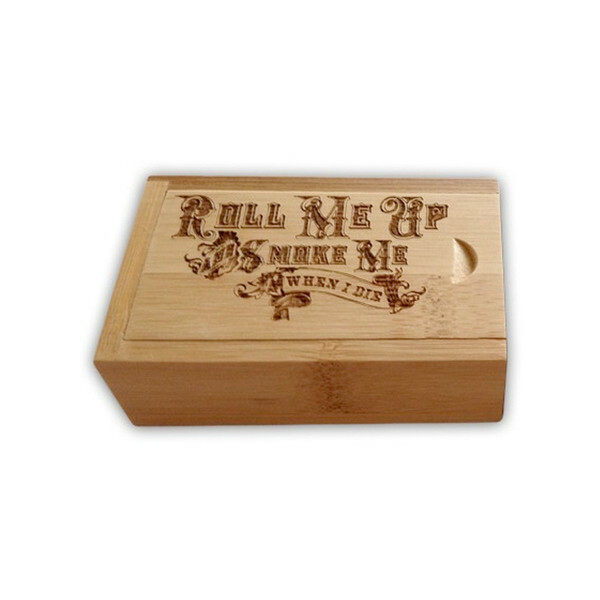 Really cool stuff, like this box to hold your pot, and a jar to hold your pot (or like I use i t- to hold my guitar picks). There are guitar picks and music, hats and other cool stuff. And it’s on sale today, too. 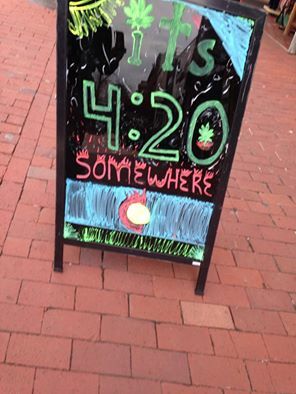 I snapped this photo on the mall in Boulder today in front of a store. 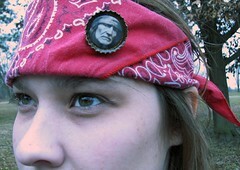 Lots of heart-felt gifts at www.WillieNelson.com, like this mug. Shirts and albums, too. Don’t wait for the next Hallmark holiday, just get one now and give it to someone you love, or even someone you’d like to get to know better. A great ice breaker. 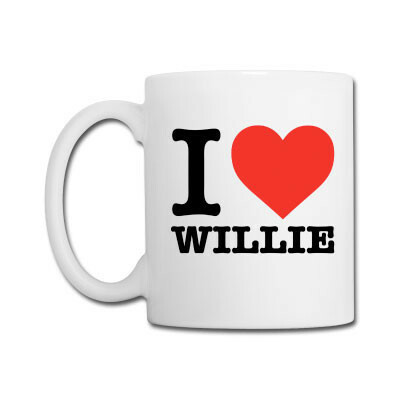 Get great Willie gifts for you and yours. Tons of shirts, music, & accessories for the whole family. Make sure you order by tomorrow, 12/16 to have it arrive in time with standard shipping. Order with expedited shipping by Friday, 12/18. Well hello there Club Luck members! Three shows have just been announced and Fan Club members have first access at tickets, before they go on sale to the public.You can access your fan club presale tickets by logging in to the fan club and finding the show on the tour schedule. Pre-sale tickets and Premium packages go on sale Tuesday, 12/15 @ 10am. Join the family! 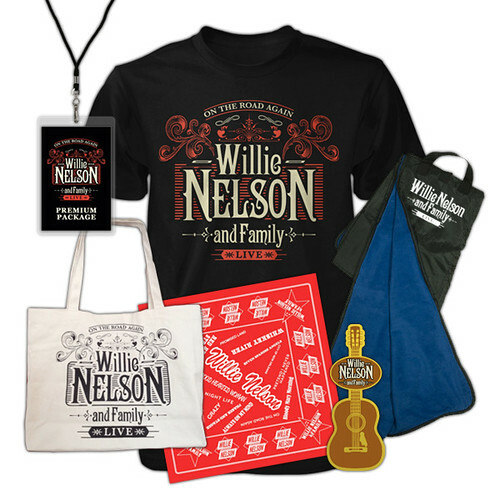 Make sure to check out our Premium Merch Packages so you can have a great seat for the show and exclusive Willie gear! 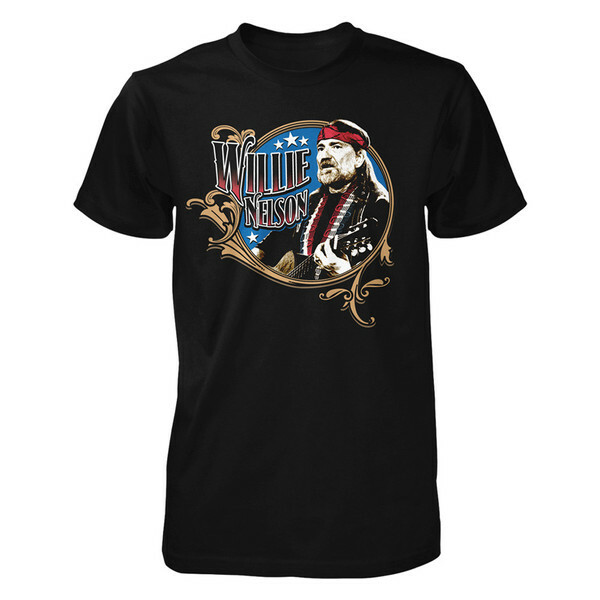 **There are some cases where the live show download for your show is not available, in those cases you can choose any other Live Willie show available. 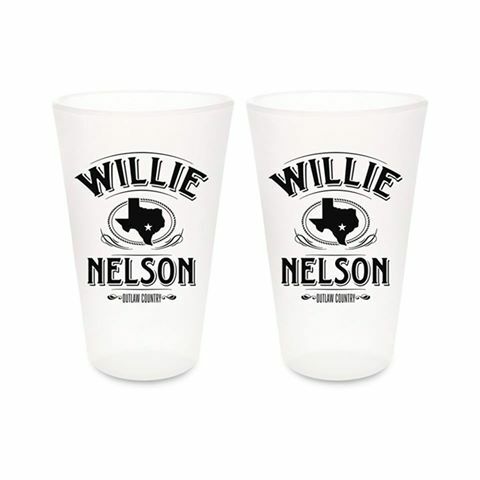 Willie Nelson’s website is selling these cool glasses; only $24.99 for a pair. 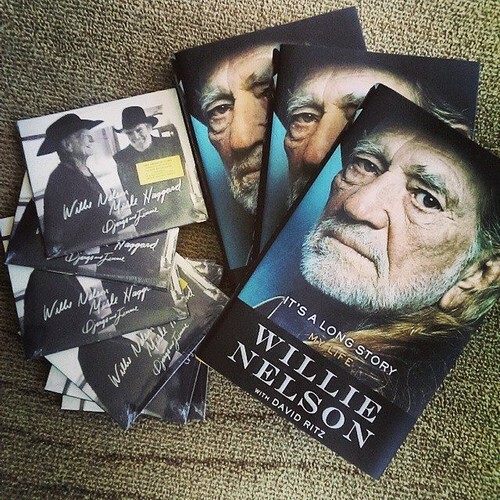 Willie Nelson’s fan club is giving away Willie’s new book #ItsALongStory and his new album #DjangoAndJimmie to some lucky Club Luck members! 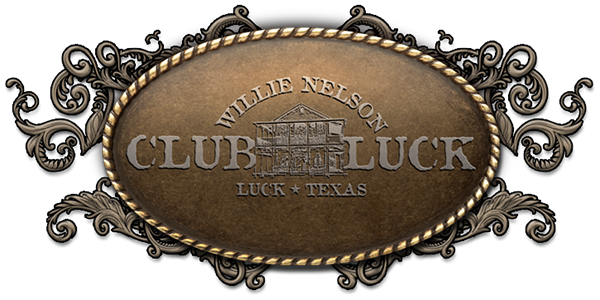 Membership to Willie Nelson’s Club Luck Fan Club includes chance to purchase tickets to some shows, before they are released to the public. They just announced that pre-sale tickets to a WN&F show in Glen Allen VA (9/23/15) go on sale through Club Luck tomorrow, May 18th, for one day. They sell premium packages that include the ticket, along with the goodies. It’s pricey, but worth getting at least once because it’s some pretty cool stuff. I did it once. *Package items may vary slightly per market, check your show description for exact items included. 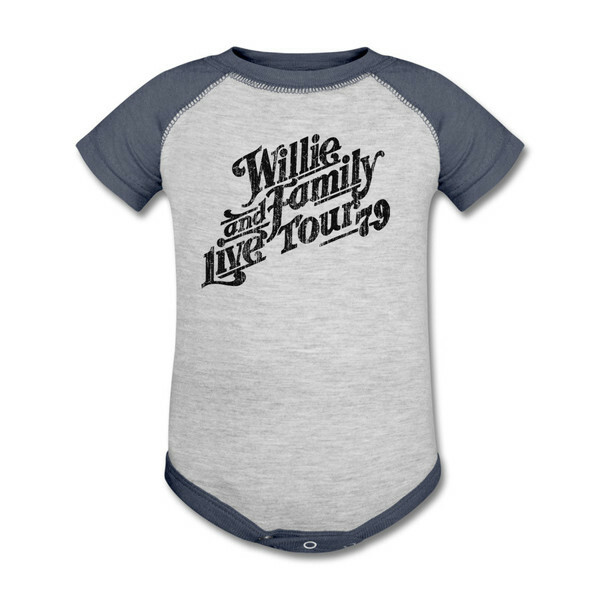 We are announcing a few Willie shows, and you’re invited! The semi-private event benefiting Texas Legends Care Charities includes music, displays, exhibits, vendors, plus a tribute to Texas Legend Billy Joe Shaver! 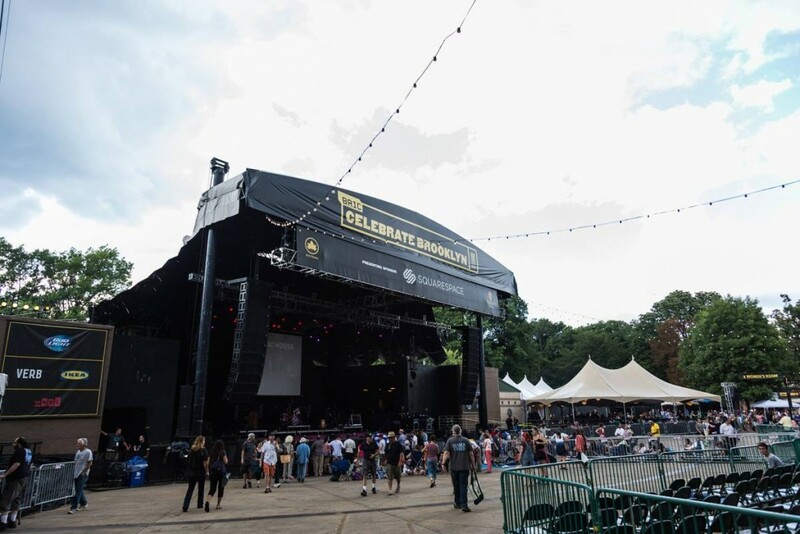 $100 Donor General Admission Passes. 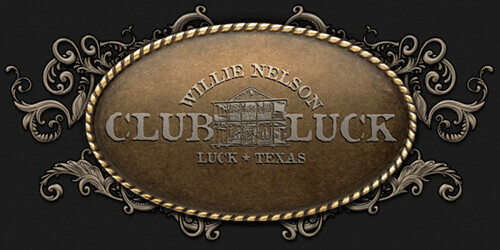 In groups of 2 or more, Club Luck @$80. $2,500 Whiskey River Cocktail Table for 4 Guests, includes Food & Beverages + VIP event privileges. Club Luck @$2,000. $5,000 Main Floor Ballroom Table for 10 Guests, includes Food & Beverages + VIP event privileges. Club Luck @$4,000. See the rest of the presale tickets and premium packages that are going on sale below! 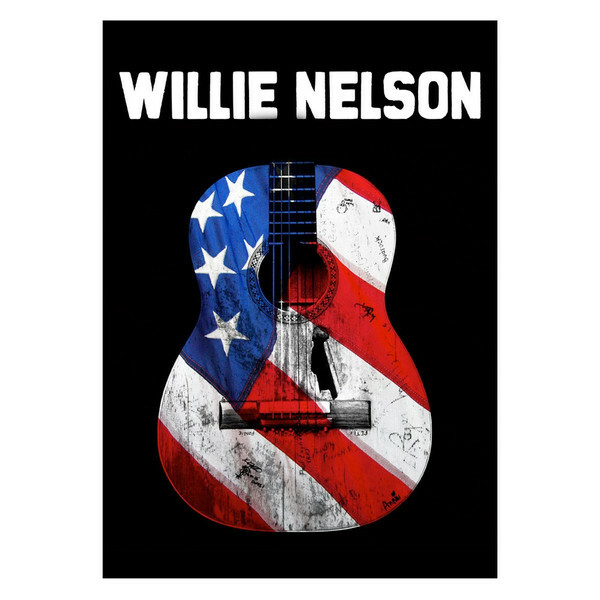 *VIEW WILLIE’S TOUR SCHEDULE for a full list of upcoming dates.